A cornerstone of our society—the truth that God created humans as male and female, with different identities, bodies, natures, and roles in the family and church—is being relentlessly deconstructed in our culture. The only response to this decay that our children seem to be seeing from Christian parents and leaders is either un-Christlike hostility to the LGBTQ community or passivity—letting our confused children fend for themselves. 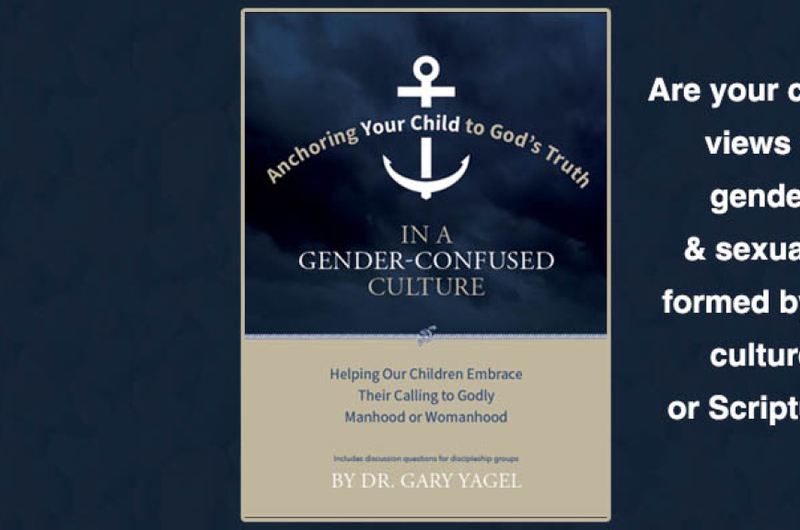 The PCA Committee on Discipleship Ministries has partnered with me to make a short book available in printed or free ebook form to all Bible believing parents and leaders entitled, “Anchoring Your Child to God’s Truth in a Gender-Confused Culture.” Its purpose is: a) to equip them to understand what today’s culture is saying to our children about gender fluidity, gender roles, and sexuality, b) to equip parents to help our children wholeheartedly embrace the biblical worldview that answers these cultural views, c) to equip parents to guide our children into a healthy sexual identity that is rooted in Christ and exhibits Christ-like compassion for the sexually confused and broken. I never ask the men who receive this e-letter for anything. But today, I am asking: Please ask your wife to help you get the word out about this resource to the parents, grandparents, and church leaders of your church. Here is the link to this free download and printed version for purchase. Here is the link to the short Vimeo videos that explain the book, which make great Facebook posts. This might be the best investment in men’s ministry that you ever made—the men’s ministry of the next generation.